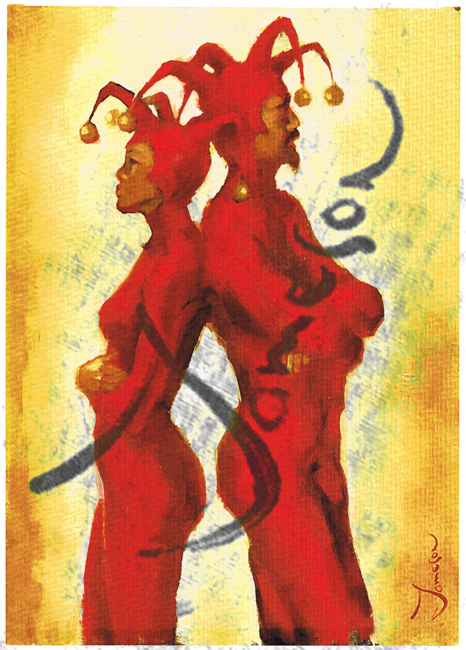 I’m looking for an artist called Jameson who paints Jesters. Does anybody know them, or know how I can find them? Again I instantly bought it and made sure there weren’t any other similar prints by going around the entire stall twice. I haven’t managed to find any information on the original paintings or the artist. 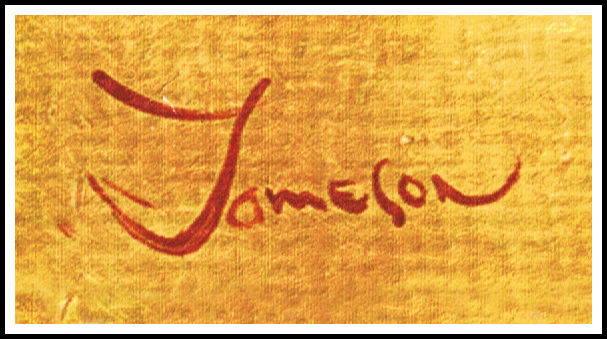 All I know is the name signed on both prints is “Jameson”. I’ve tried searching Google Images and Flickr for similar images, or for more on the artist and have always come up blank. What I’m hoping is that this blog will somehow put me in touch with the artist, or with anyone with similar prints. I’ve added watermarks to the above images for copyright purposes, as clearly the original images don’t belong to me. Once I find the artist I’ll remove the images to protect their work. 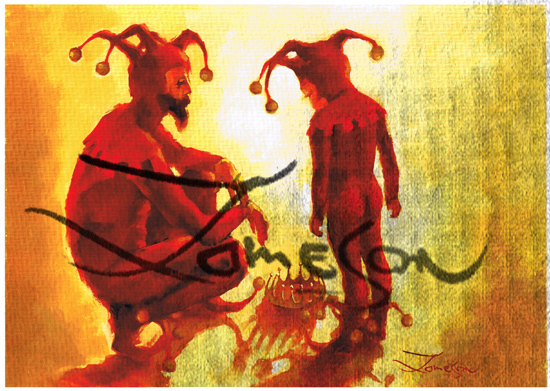 One thing I do know is that this blog is now on many search engines, and so others looking for a painting with a title such as “Jesters by Jameson” will be directed here. UPDATE: A reverse image search on Google took me to an artist page that sells prints. I’ve contacted them about the artist and am awaiting an email back. I hope they do get back to you about the artist and who he or she is. Please do keep us updated on your search. I believe I have found the artist! I have emailed them back for further details, and some background info on the idea of the two paintings I found in Prague. Great news! The internet is a wonderful thing.